First, Antenna TV will have a Labor Day launch marathon of Welcome Back, Kotter from 5am-10pm. Go back to school with the Sweathogs as the bell rings at 5am ET and the marathon lasts until 10pm ET. Comedy Central will have a Broad City marathon, as we mentioned. 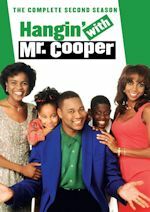 ASPIRE is starting In Living Color with a marathon from 12pm-1am. TV Land gives us a M*A*S*H marathon from 9am-9pm, as does Sundance TV. 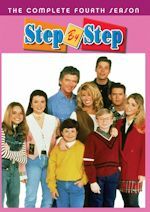 TBS has a marathon of Friends from 8am-5pm, followed by Family Guy from 6pm-10pm. FXX will air a marathon of The Simpsons on Labor Day from 6pm-2am and Raising Hope earlier in the day from 9am-1pm, while sister network FX airs movies. IFC will air a marathon of That '70s Show that starts at 4pm. WGN America will have a 8-hour marathon of In the Heat of the Night from 10am-4pm, followed by a Cops marathon from 4pm-7pm. And Spike TV has more Cops, from 9am-4am. 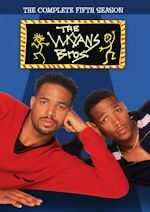 MTV2 brings the laughs with a Wayans Bros. marathon from 12pm-2am. 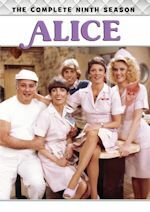 Pop has a marathon of ER from 9am-6pm. BBC America has a 24-hour Star Trek Voyager marathon starting at 6am. TeenNick will have a marathon of the sitcom iCarly from 6am-10:30pm. Syfy will have a marathon of Z Nation from 6am-4am. ION will entertain us by airing a Criminal Minds Labor Day marathon from 11am-1am. AMC will have a Walking Dead marathon starting from 3:14am. USA Network has a Labor Day marathon for Chrisley Knows Best starting at 6:30am lasting through 8pm. WE tv will showcase a CSI: Miami marathon from 10am-4am. Reality TV wise, E! has a Keeping Up With the Kardashians marathon beginning at 7:30am, Steve Austin's Broken Skull Challenge on CMT from 9am-7pm, while Bravo has an all-reality marathon including some Real Housewives from 6am-9pm. There are plenty of movie options as well, of course. TMC has a Jerry Lewis movies marathon, as does the Movies network, as we mentioned. Starz has a James Bond movies marathon starting now lasting through 3am early Tuesday. And Freeform has its Harry Potter films weekend continuing.